Nothing better encompasses outdoor family travel than a farm stay. We spent the weekend at Flip Flop Ranch (www.flipflopranch.com) just outside of Big Bear. Farm vacations are very reasonably priced and you can’t do better at being outdoors and in nature. Only a few hours from home, we felt like we were experiencing the true Wild West! Flip Flop Ranch is a small family farm dedicated to preserving livestock and sharing the farm stay experience with others. You can expect a genuine farm experience in the desert countryside of southern California but do not be afraid of the nitty gritty and the bugs. You need to be more careful about impulsively taking a kitten home with you (more on that later). You will likely be in the company of two or three other families for your stay and expect to be surrounded by of all kinds of animals. You do not forget you are enjoying the outdoors for even a moment with the constant company of goats, horses, roosters, geese, chicks and kittens! Kittens are always the kids’ favorite and Jett was no exception. My husband and I were quick to fall in love so I caution you to beware, because the cuteness is contagious! Jett loved following Farmer Tom around and watching him sheer sheep, chop wood and do all kinds of manly chores. Farmer Tom even shared baseball tips with all the boys. Farmer Serina was also such a patient teacher with Jett while he followed her around throughout the day. After an eventful farm vacation weekend, we were sad to leave the comfort of the forty acres tucked away on the outskirts of Lucerne Valley. Every family with a kid should experience a farm stay—we hope to return in the fall during apple harvest, but hope they hide the kittens! All you city dwellers need to consider getting away for a weekend down on the farm. See things you’ve never seen before: baby goats being born, sheep being sheered and little chicks chirping away. 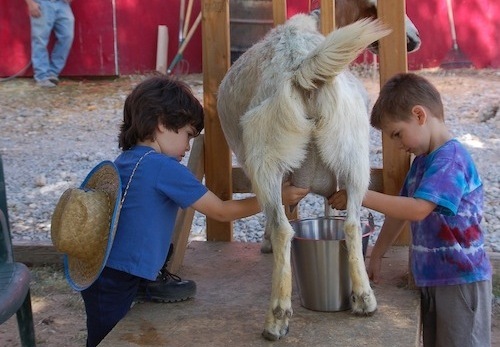 Do things you’ve never done before: milk a goat, feed livestock and spend the day as a farmer-in-training. 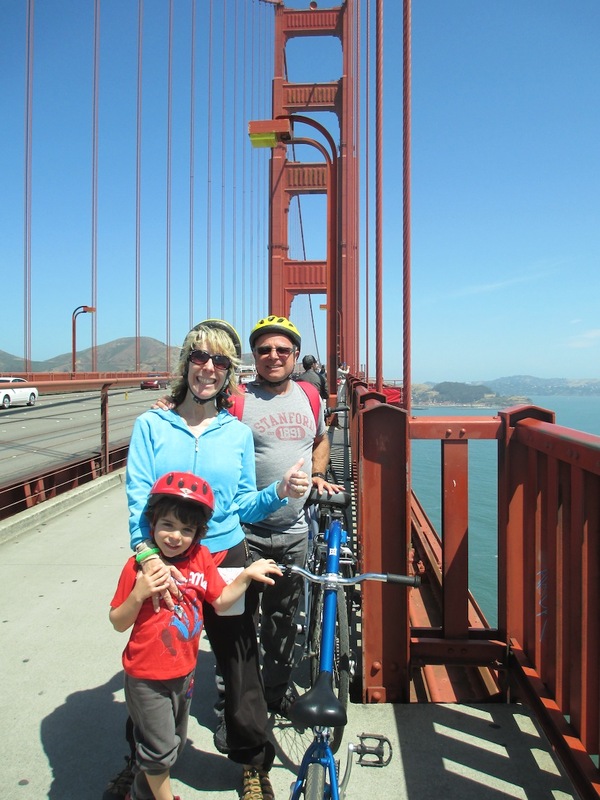 It is an outdoor family travel experience you will never forget!